As a child, Jacob was intrigued by the anecdotes his grandfather told of orphaned children with peculiar abilities who lived on an English isle, led by the pipe-smoking Miss Peregrine. Now sixteen, Jacob no longer believes in stories, but can’t deny a nightmarish image seen in the woods near his grandfather’s house, and the man’s puzzling last words. Jacob travels with his father from their home in Florida to the coast of Wales to secretly determine the truth about The Bird, a loop, and what happened on September 3rd, 1940. An abandoned orphanage with a suitcase of odd photographs will disclose more about the man he so admired, with whom he shares more than he could imagine. 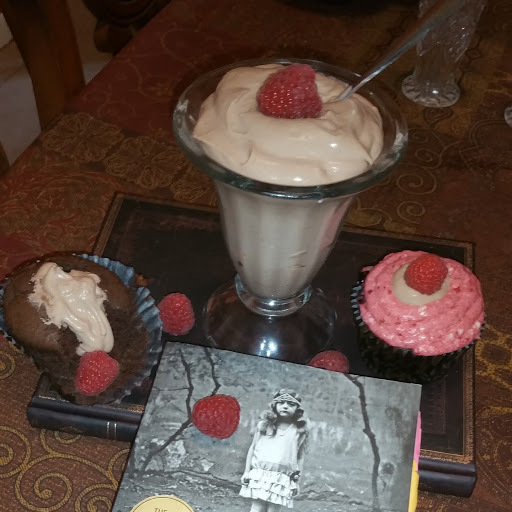 Miss Peregrine’s Home for Peculiar Children is the first book in a trilogy by Ransom Riggs. The second book is titled Hollow City, and the third is Library of Souls. Once you finish the first, you’ll be itching to read the second. I recommend purchasing all three at once so you aren’t left waiting to find out what happens next to the peculiar children and the hollows. Asylum by Madeleine Roux is about a boy who visits a college that was once a sanatorium, and must face an unsolved murder, as well as his own dark past. Fantastic Beasts and Where to Find Them by J.K. Rowling is a fun, short book that lists the creatures found in the Harry Potter Series, beginning with Harry Potter and the Sorcerer’s Stone. That 7-book series is also a perfect follow-up for this Ransom Riggs series, especially books 4-7. The Diviners by Libba Bray is about a girl named Evie O’Neill who’s left her hometown to live with her uncle in New York City in 1926. Evie has a secret, supernatural power, but when police find a murdered girl branded with a strange symbol, Evie decides to use her ability to help catch the serial killer. For the chocolate pudding centers: Beat the whipping cream on high speed in a stand mixer until it forms stiff peaks, about 3 minutes. In a separate bowl, combine a box of pudding mix and 2 cups of milk, beat on medium speed about 2 minutes or until fully blended. Add the whipped cream to the bowl of the pudding, and with a rubber spatula, fold all three ingredients together gently. Refrigerate to thicken while making cupcake batter and frosting. If pudding mixture is runny, add a tsp or two of cornstarch until desired thickness is achieved. 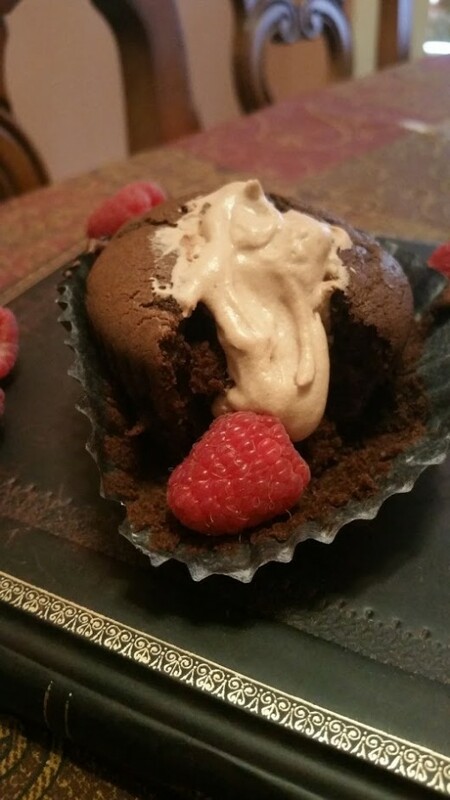 For the chocolate cupcakes: Melt in microwave: 2 oz semisweet choc chips and 1 tbsp butter for 30 secs, stir, add 20 seconds, stir, 20 more, stir, and 10 more, or until ingredients are completely melted together. In the bowl of a stand mixer on medium, cream together 2 sticks of softened butter, the sugar, and the melted chocolate chips. Add eggs one at a time until each is incorporated, then 1 tsp of vanilla, and the remaining box of pudding mix. In another bowl, combine flour, baking soda, cocoa powder, and baking powder and add the dry mix to the batter in thirds, alternating with the 1 ½ cups of milk. 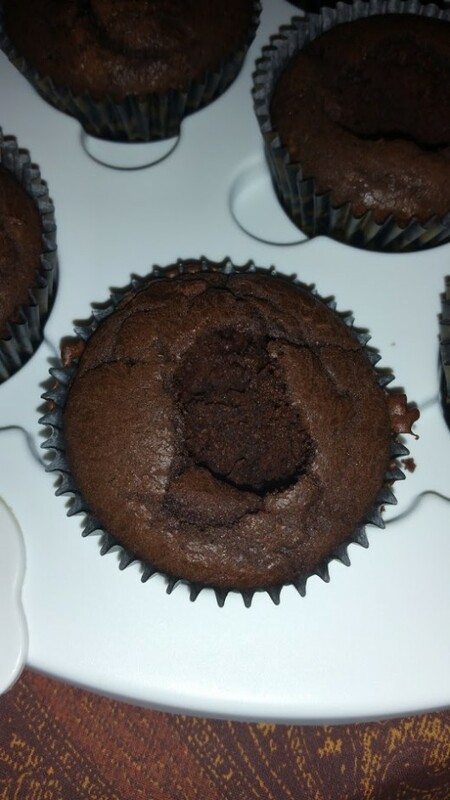 Bake in lined cupcake tins (see Amazon ad for the liners I used) at 350° for 18-22 minutes or until a toothpick inserted in the center comes out clean of raw batter. To assemble: using a melon baller, scoop out the center of each cupcake (but be sure not to go all the way through) and place on a plate or in a bag. Feel free to snack on the centers with any leftover chocolate pudding mousse. Using a piping bag with a tip, or a teaspoon, fill the centers with the chilled pudding mix. You can either fill them to be flat for piping, or go a little over and pipe the frosting around them as I did in one of the photos, to show off the pudding center. Cream 1 stick of softened butter and the shortening together on medium-high speed in the bowl of a stand mixer for 1-2 minutes. Puree raspberries in a food processor or blender. Add raspberries to the butter while beating on medium speed, until they are fully incorporated. Drop the speed to low and add 2 cups of powdered sugar, 1 tsp vanilla extract, and 1 tbsp of milk. Mix for about 2 minutes or until all ingredients are combined, then add the remaining cups of powdered sugar slowly, one at a time, on low speed until completely mixed together. Frost cooled cupcakes and garnish with a fresh raspberry if desired. Jacob says that, “like anything that changes you forever, split my life into two halves: Before and After.” What was the beginning point of his “after”? Have you ever had an experience like this? What makes some events change our lives and who we are so drastically? How was this a captivating first paragraph for the book? “We cling to our fairytales until the price for believing becomes too high.” What was that point for Jacob? What made him start believing again? Would he have believed again, inevitably? What makes some of us stop, and others continue our entire lives? When attempting to explain his friend Ricky, Jacob called him a bizarre cross-pollination of subcultures possible only in South Florida.” Why is that only possible there-does the weather play a part, or does the melting pot of so many and yet no real native cultures factor in as well? What reputation does Florida, especially South Florida, have among the rest of the United States (look up recent newspaper headlines if you’re unsure or don’t know the area)? Do you know of or have you ever seen any other examples? Why didn’t anyone believe Jacob about the creature in the woods with his grandfather? What was the original purpose of a “priest hole” and how did it prove useful to Jacob and his friends? “Living on a remote island…turned people into pack rats,” Jacob noticed. Why? What are other reasons that people hoard things? What did the children collect and why? Why do peculiars have to live hidden now, when they could live so openly in the past? Why is it that “only birds can manipulate time, therefore all time manipulators must be able to take the form of a bird”? What is the connection between the two? What is the connection between the children and their abilities? Is it personality-related, or related to their interests or genetics or natural abilities, sort of like enhanced humans? What do you think your peculiarity would be and why? Within five minutes of lazing about on the grass in the loop, Jacob began to feel “like a dope…like the loop itself was a drug-a mood enhancer and a sedative combined-and if I stayed too long, I’d never want to leave. If that were true, it would explain a lot of things.” What things does it explain? How did Jacob disrupt that feeling for the children? What was the danger in that? What was Jacob’s ability and why did it take him so long to discover it? How long til the children noticed, or do you think all of them even understood about it? How did his gift connect him to his grandfather, and was that perhaps partially why he always felt more of a connection to him than the rest of their family had, and more interest in his stories? Was it possible he was subconsciously and or biologically attracted to those stories and that place, or was it destiny? What was the cruel twist of irony about the hollowgast? What had they been trying to achieve, and at what cost? Do you think, were they rational, they would consider it worth such a price? Is it worse to be a wight? Why or why not? Are there any similarities in their relationship that we see in other mythological creatures, such as vampires and werewolves perhaps? Does calling Jeffrey Dahmer a wight make it easier to understand his actions? If wights were real, what other famous criminals might have been one? Jacob, in looking at the stars and pondering all he’d learned, “had always known the sky was full of mysteries-but not until now had I realized how full of them the earth was.” What did he mean? What mysteries had he learned about? Keep this question in mind for book two, and the new ones you’ll learn. Jacob “used to dream about escaping my ordinary life, but my life was never ordinary. I had simply failed to notice how extraordinary it was.” why was that, and what things had he thought were ordinary that weren’t? Are we often that way, not realizing the value of things until they are lost or our perspective about them shifts? How could we go about changing that?